Staff Sgt. Melissa Gonzalez, a medically retired veteran, was a member of the 60th Security Forces Squadron at Travis Air Force Base, Calif., and was thrown from her team’s Humvee when they struck an improvised explosive device while deployed to Bagram, Afghanistan, in 2009. The Department of Veterans Affairs said it processed more than 1.3 million disability compensation and pension claims in fiscal 2014, which ended last week. That’s the highest number in history, surpassing last year’s record-breaking production by more than 150,000 claims. 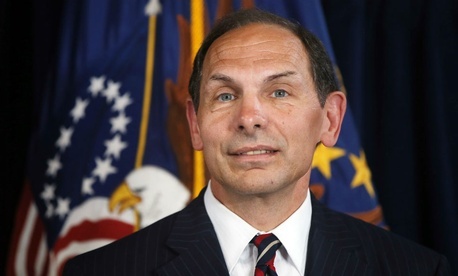 The quality of claims decisions increased along with the number of claims processed, VA said. "VA continues to explore innovative ways to help Veterans get access to the care and services they have earned and deserve," said Secretary of Veterans Affairs Eric K. Shinseki. "This new dental program is another example of VA creating partnerships with the private sector to deliver a range of high-quality care at an affordable cost, for our Nation’s Veterans." Veterans Day and Memorial Day are designated to honor those who have served, been wounded or have given their “last full measure of devotion” to the country. With combat veterans among us, the Fourth of July also deserves equal consideration and preparation. SAN DIEGO – Veterans were horrified while seeking VA health care on Wednesday when approached by Homeland Security police in an Operation Shield exercise. The exercise was for the purpose of “presence deterrence” at a VA health care facility in San Diego. Many veterans’ legal advocates are concerned about what this “presence deterrence” actually means and what it seeks to accomplish for veterans needing care.